Going to-and-from Manila to Clark International Airport is now easier than ever. The same goes for the suburbs of Pampanga and Clark in general. Both local and foreign tourists would visit these places for their food, culture, adventures spots, and festivities such as the recently concluded pryomusical and the upcoming Hot-Air Balloon Festival. Clark is definitely on the map as a gateway to leisure, entertainment, and business opportunities. 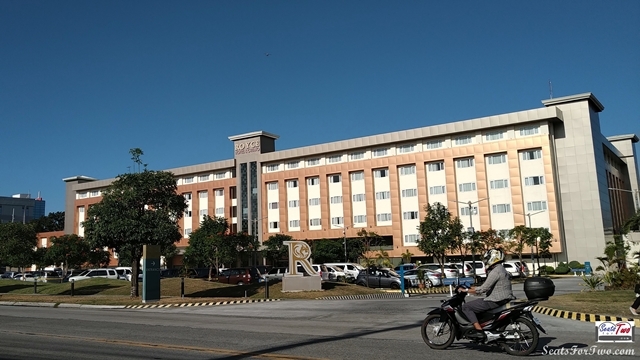 With this boom in its local economy in the past decades are new brands of hotels and resorts such as Royce Hotel and Casino. Coinciding with Valentine’s Day a few weeks ago, we stayed in one of the hotel’s Junior Suite which offered a spacious and classic accommodation. 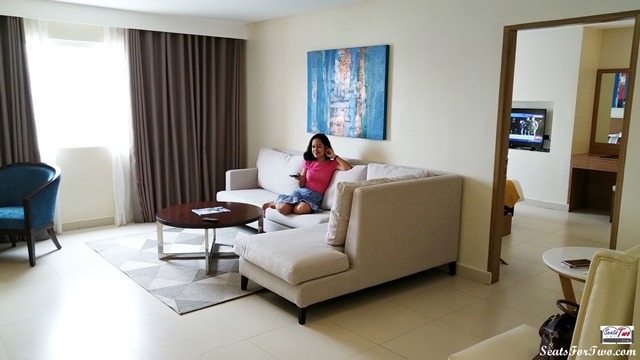 Being a suite, it had a spacious separate receiving area / living room with LED television. 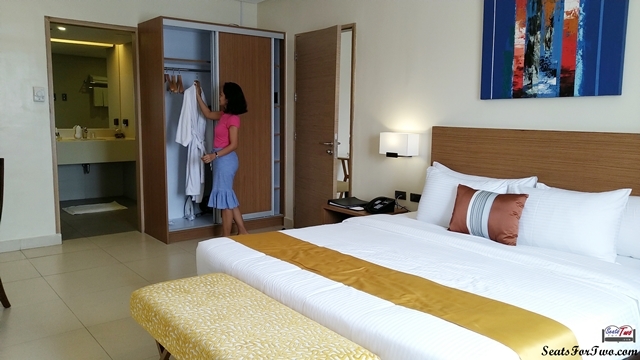 It has everything you need for a relaxing stay. Beside the door entrance was the mini-bar with refrigerator while on the other corner is a work desk. Aside from the gigantic sofa fit for a family, there was another set of chairs and table on one side. And a good internet connection to bind everything from leisure social networking to finishing some work on our laptops. The bedroom has king-sized bed with nice mattress and soft pillows. It is adjacent to the bacthroom with a tub and separate shower cubicle with strong water pressure. Aside from the casino and entertainment facilities, Royce Hotel houses six restaurants – The Lounge, The Empire Bar and Lounge, Majestic Café, Amare by Chef Chris, Choi Garden Clark and Korea Snow Palace. For staying guests, breakfast is served at The Lounge. Whenever we can, we also went outside the hotel to check out nearby shops and restaurants. There’s Jollibee, Chowking, Burger King, and a drug store – all within walking distance from the hotel. 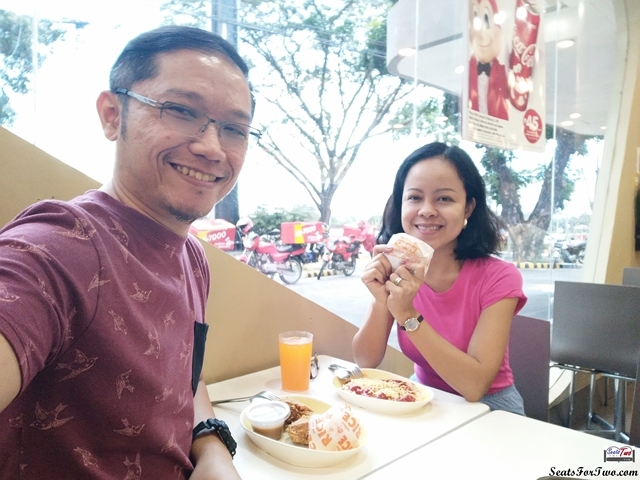 Evident in ths photo above, we had a quick snack at Jollibee. 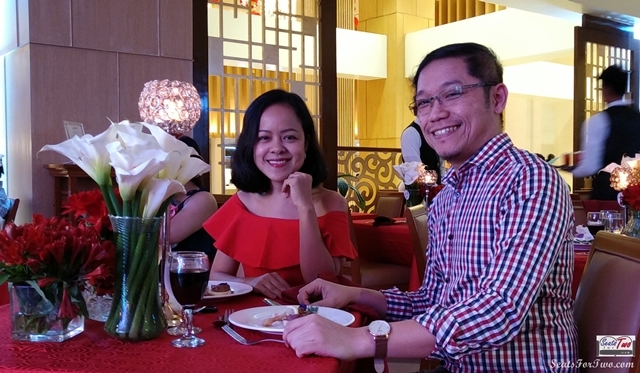 In celebration of Valentine’s Day, Royce Hotel hosted a special dinner date at the Lounge for their guests dubbed as “A Night of Serenade“. 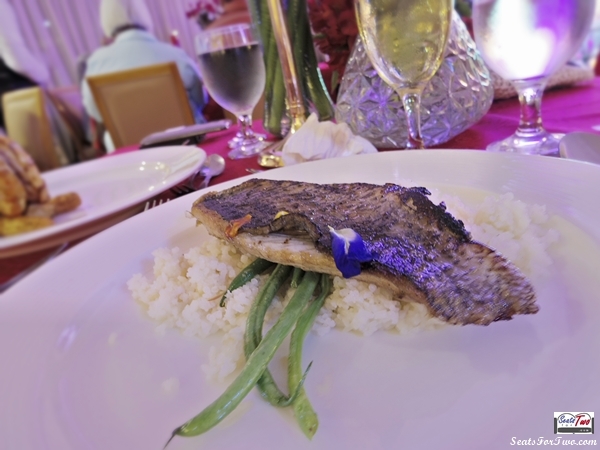 For only Php 1,888 per couple (P944/pax), ‘love birds‘ including ‘Seats For Two‘ enjoyed a four-course dinner while listening to great music by a live band. The lovely dinner started with the ushers leading us to our reserved table and the waiter offering a drink. We both had red wine which paired fittingly with the opening fare of fresh salmon & beef tartare served with fried mushrooms and melba toast for appraisers. While everyone was enjoying listening to romantic songs, a heartwarming spiced creamy tomato soup came next. 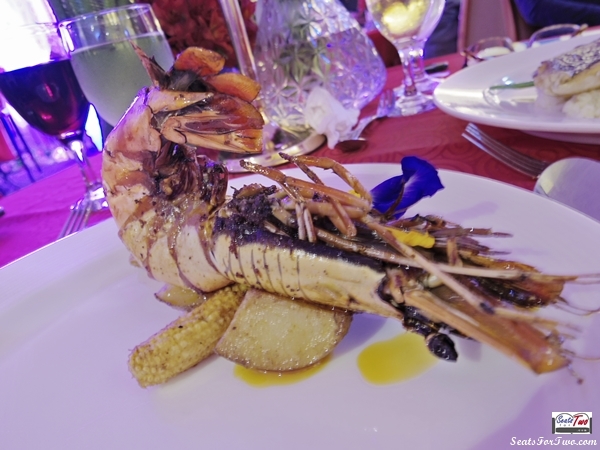 For the mains, Mr. Seats For Two chose the Cajun Tiger Prawn while Mrs. Seats For Two had a Pan Seared Seabass. The former was good and went well with the roasted vegetables while the latter was fairly well and is served with garlic rice. It was indeed a lovely night. Most of the guests were couples, as expected; while some dined with kids or the entire family. 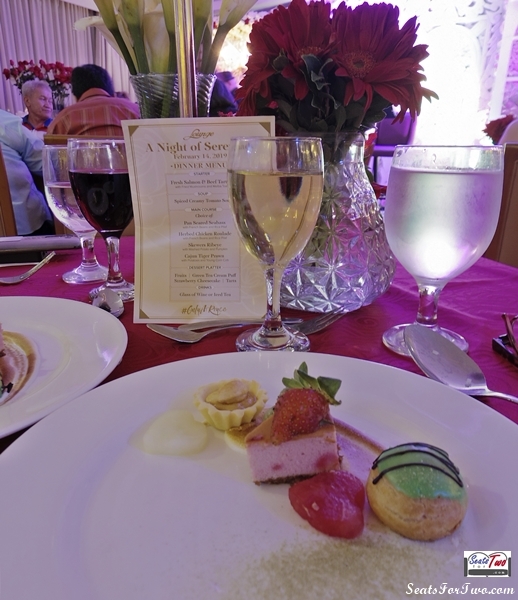 We finally ended the “Night of Serenade“with some green tea cream puff, strawberry cheesecake and fruits. 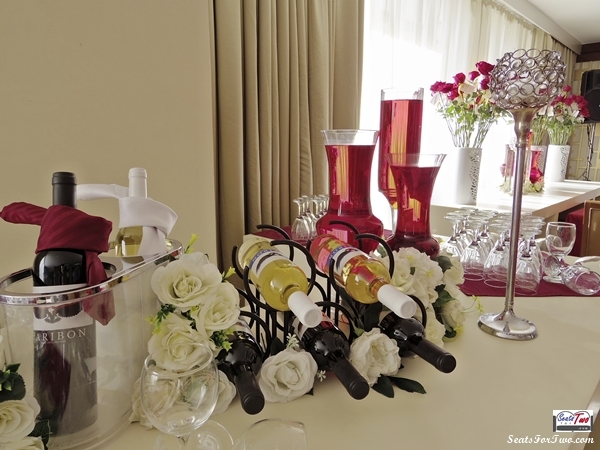 The dinner package also comes with a lovely long stem rose and Royce cupcake. From Manila going to Royce Hotel / Clark Airport, tourists may take the Genesis Bus (Point-to-Point P2P Bus) from the Clark Airport Lounge in Trinoma Mall. The terminal/lounge is located at Trinoma mall along Mindanao Ave. (near the mall’s fountain area, beside Mercury Drug). Buses leave almost every hour, just check their page for your preferred time. Fare is about Php 250 Trinoma to Clark Airport. The bus also passes by SM City Clark and Royce Hotel & Casino, in that order, before reaching Clark Airport. 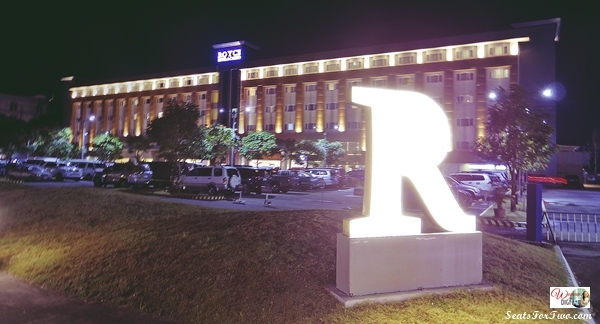 If you’re coming from Clark Airport, you may contact Royce Hotel for hotel-pickup services. Follow our couple adventures by subscribing via your email here. Follow us on Facebook, Twitter, and Instagram as well! 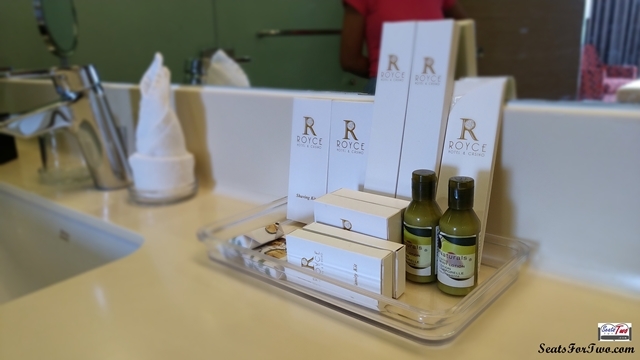 We hope to be back at Royce Hotel in Clark soon!